How's everything? Hope all is well. I loaded a map from Brock racing in my PC3 and went to the Dyno (I'm not sure what make/model the dyno is @ Racers Edge Las Vegas) I installed a PC3, full Hindle (Stepped) BDE Exhaust, the Velocity stacks, BCE and 17 tooth CS sprocket. It dynoed at 145.5 they said they didn't know where to hook up the tach for rpm so they could display torque. I figured you measure torque at the wheel as well, but I might be retarded. I had more Mid than any of the other bikes he had stored in the computer. I took it home removed the stacks and BCE went back wasted another $25.00 just to prove what I thought. Your Stacks work like a champ. Peak stayed the same but I lost the mid range advantage I had with the Factory Pro stacks. Well now I need advice, do you have any tricks on pulling more peak HP out of this thing? Please let me know. I'm still willing to paint my bike in Factory-Pro colors! 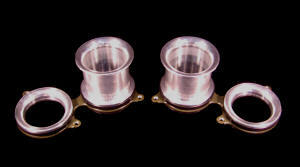 Add 3 to 5 True hp to lower and upper midrange with these finely machined V Stacks. This is TRUE HP - not dynojet hp. 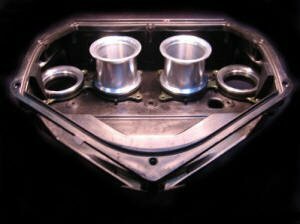 stock camshafts, stock pistons and stock valves and cylinder head and an aftermarket exhaust system. and using the Factory Pro BMC RACE filter. It appears that the mighty "10", especially with the V Stacks, could do with a bit of cam timing work. The EC997 dyno is displaying information that the intake cam could be advanced 2-4 degrees and pick up a fair amount of low-end snap and midrange punch. There is a distinct possibility that the maximum power could increase by 1% to 3%, also. The shifting can also be improved - It's relatively notchy and stubborn, as compared to a "sweet' shifting bike - The EVO Shift STAR kit (below) will sweeten the clunkiness at low rpm in town and when "bangin' it" through the gears on the track - Virtually eliminates missed shifts, too! Factory Pro Dyno Centers F-USA HP leaders! The way we were, the way we are, the way we will be. I wish to thank you for the velocity stacks for the Kawasaki ZX10r. 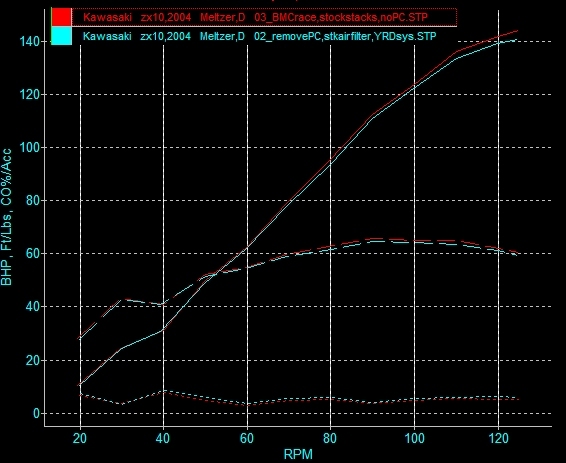 On my retarded DJ dyno I measured a healthy 3 to 4 hp increase from 8500 to 11500 rpm. My customer Danny Imberg remarked " can't get cheap horse power like this very often!" 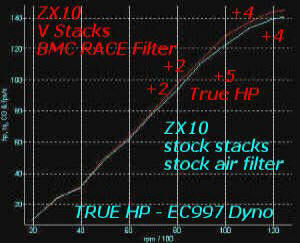 Final output is 167 djhp, Factory pro velocity stacks, MHP full system, stock engine after 2 seasons racing! Another ZX10. This one with Jardine slipon and stock air filter. 4 short stock rubber stacks are very slightly better than stock (2 short, 2 long) rubber stacks and from user reports, the 4 short's lose some lowend (although we didn't). Factory Pro's EVO Shift STAR kit - Fix the zx10 shift mechanism, don't sell the bike. I just want to thank you for developing the shift star for my ZX10R. Like your ad says: "Don't sell it, fix it!" I am very impressed with the results, the shifter now feels like the rest of the controls. It no longer feels like a toy that you are hurting when you are shifting. Don't sell your clunky shifting "10". If you have a 2004 or 2005 zx10 and notice the notchy, clunky shifting - Install Factory Pro's copyrighted design Shift STAR kit and breath a sigh of relief - Finally, smooth and Quick shifting on your "10". Takes about 1.5-2.5 hours for initial STAR install (good enough to stop the immediate complaining for the "beginning of spring" riding!) and another, optional, 2-4 hours for Detent arm install (remove exhaust system, oil pan and clutch cover again to remove shift shaft circlip - a weekend or shop project. Adding just the Star or just the Detent Arm will make shifting much better than stock. Because the shift is completed quicker, please decrease "shift kill time" by ~10 ms. This kit will speed up the shift mechanism. It doesn't make any difference if you use "manual shifting", an air or electric shifter, have undercut gear dogs or not undercut gear dogs - It's the shift drum gear selector mechanism that we are rotating quicker and more accurately. CO% is a much better way to derive estimated A/F Ratios as compared to wideband O2 sensors. Just wanted to say "Thanks", again. I'm really impressed by your calling me to give me the info on the advance rotor. That, in my book, is "Going the extra mile." That's what makes a company succeed. Received the items on the 03Nov, fitted items on the 06Nov with Meng Tong. Enclosed is a picture for your information, or maybe you want post it out on the net. 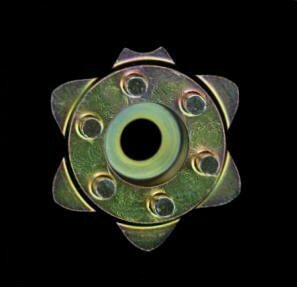 Also I used Loctite 243-Threadlocker and Loctite 7471 Activator for your information on the nut of the roller bearing and onto the allen screw holding the star. I hope you fine the pictures use full. Received the items on the 03Nov, fitted items on the 06Nov with Meng Tong at Looi's Motor in Singapore. Enclosed is a picture for your information, or maybe you want post it out on the net. Also I used Loctite 243-Threadlocker and Loctite 7471 Activator for your information on the nut of the roller bearing and onto the allen screw holding the star. Received details - Shipping USPS Global Express tomorrow. 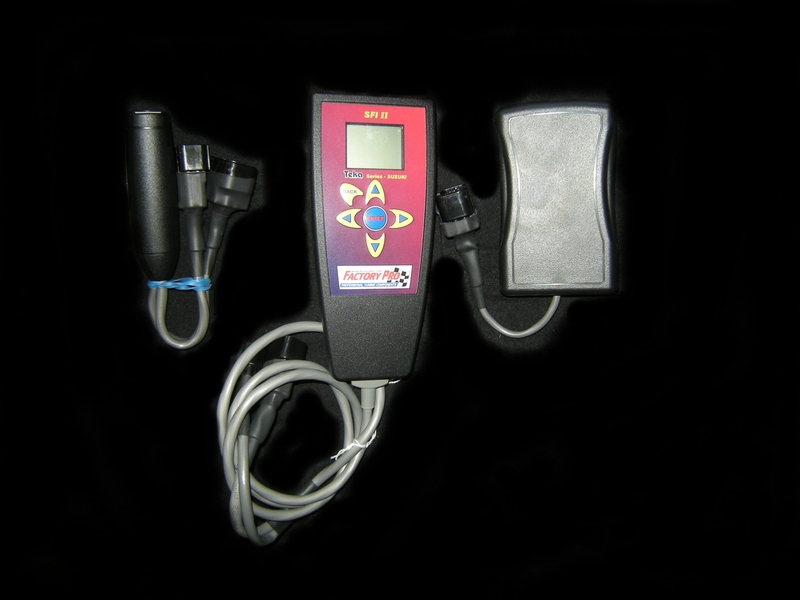 Good morning to you, I am very interested to purchase your SHFT-EVO-K95-KT which consist of one Star + Spring and Detent Arm. I have had purchase your Velocity Stacks previously. The Shift Star Kit is for my ZX10-R (04). Please confirm total cost and approximate date I should receive items. Special discount would be very much appreciated. 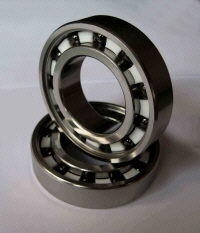 For your information Loois Motor, Meng Tong will fit these items for me as we are good friends. Upon confirmation, I will e-mail you my payment details. Do I need to Loctite the screw for the Star and the Detent Arm? These are ROUGH and GENERAL and VERY abbreviated clues - NOT to be used without a genuine Kawasaki Service manual for proper assembly. 30mm 1/2" drive socket ( 1 3/16" in a pinch) (if 30mm is wrong, please email here with correct size. 1. On the 10, you must remove the oil, exhaust system and the oil pan to remove the circlip that holds the shift shaft in. 2. 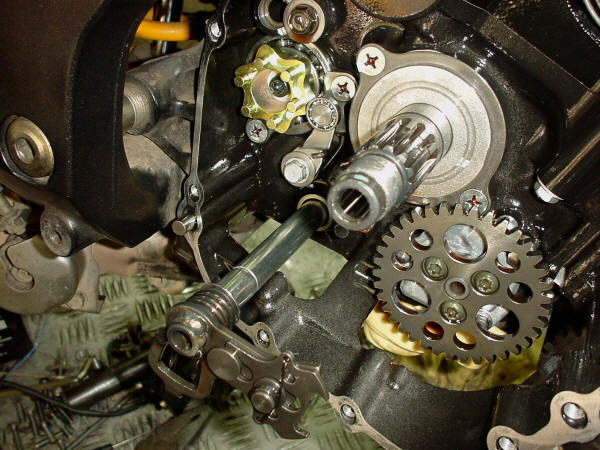 You must remove the clutch assembly to get to the STAR and the detent arm. 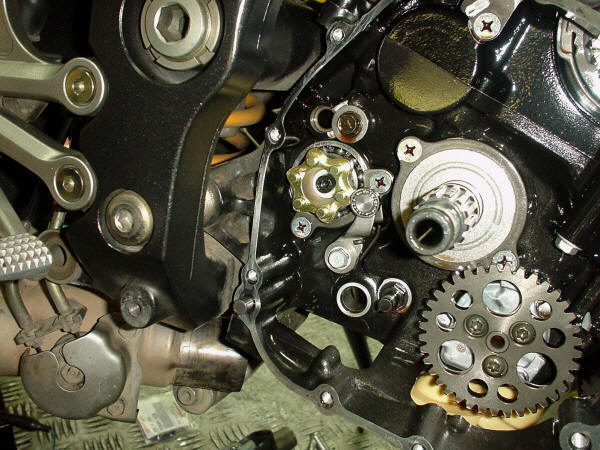 You've already removed the clutch assembly and removed the oil pan using your Kawasaki manual. Remove and replace the Factory Pro Shift STAR. Remove and replace the Factory Pro Detent arm. 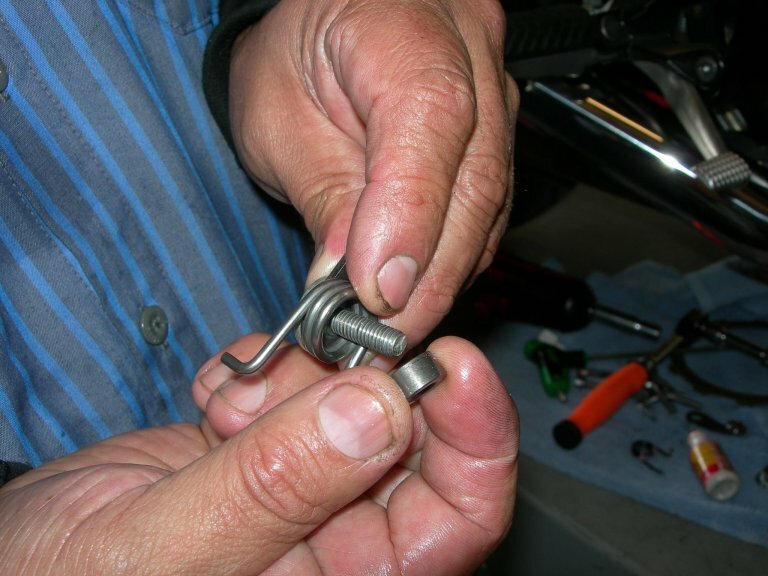 Use a drop of Loctite type threadlocker on the arm and STAR mounting bolts. Reassemble stock shift shaft back into the engine. Replace the shift shaft circlip in the oil pan. Reassemble the clutch assembly, oil pan and add OIL as per Kawasaki Shop Manual.